Karlie Goya Music | Ukulele Artist — Follow Karlie's musical journey..
Like most kids growing up in Hawaii Karlie was introduced to the ukulele at a young age and quickly fell in love with the little four-stringed instrument, since then now at the age of 16 Karlie has won numerous ukulele/vocal competitions such as the prestigious Ukulele International Contest, Duke’s Ukes, and the 2015 Brown Bags to Stardom. Karlie has also been credited for her songwriting, winning the Hawaii Book & Music Festival’s Songwriting Competition and a semifinalist for the 2017 International Songwriting Competition. 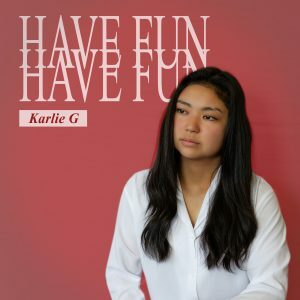 Karlie performs a wide range of genres such as traditional/contemporary Hawaiian, Pop, R&B, and Japanese which can be viewed on her YouTube channel. Karlie’s unique soulful voice surprises many the first time they hear her. Karlie’s debut EP “Till The End” as well as her latest album release “Have Fun” are now available on iTunes and most media outlets. Follow Karlie on social media to stay updated on her musical journey. 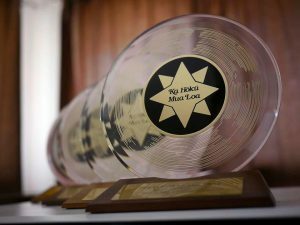 2019 Na Hoku Hanohano Award Finalist!!! I’m so happy to announce that I’m nominated for “Female Vocalist of the Year” and my album “Have Fun” is also on the final ballot for “R&B Album of the Year.” Voting is only open to Hawaii Academy of Recording Arts members however, the public can vote for “Favorite Entertainer of the Year.” I would be so grateful for your help! Here is the link to vote. Thank you! A little bit about my CD – “Have Fun” is a collection of songs that I’ve been working on through the years. All original and self-produced music! I would consider the genre as R&B, but there are shades of Island and POP. Fun Fact – most of the ideas were initially written on my phone using the garageband app. Most of the tracks include the ukulele. I recorded and mixed them all in my bedroom. Kickstarter – this CD would not have been possible without the support from my backers at the crowdfunding site kickstarter.com I really, really appreciate everyone for supporting and believing in me!